The best the thing about fall are those crisp days, just a few degrees shy of when you know you’ll be seeing your breath in the air, the clear blue skies, and the earth scattered with colours of yellow, red and orange leaves crunching between each step. October in O-Town has been stunning. It’s a bittersweet reminder of what’s coming (ugh cold, ugh snow). But on a day when the sun is shining and the weather is sweet, it’s the furthest thing from my mind. Im just relishing in my fall favourites. PS: shout out my photographer Kat, who did an excellent job shooting these pictures with my iPhone. She captured just what I wanted with this spectacular fall day. Another great post dear! As usual, looking very chic! I am so in-love with this look. Already excited to see your next outfit posts. I always think that autumn - true autumn, with cold clear skies and leaves scattered on the ground - is the prettiest time of year. It's also the perfect time for a trench coat. I love the unexpected detailling on this one! I'm loving the little details on this coat! And I can't believe those pics were taken with an iphone- way to go, Kat! 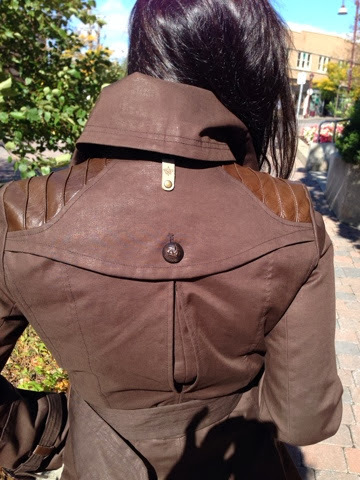 that is a great coat, I love the detailing on the shoulders :) We have been having amazing weather lately haven't we! I keep reminding myself to enjoy it now because ice and snow are just around the corner! That trench is amazing!! I love the leather details and the shape. Love the trench! Very classic looking with awesome details to set it apart! 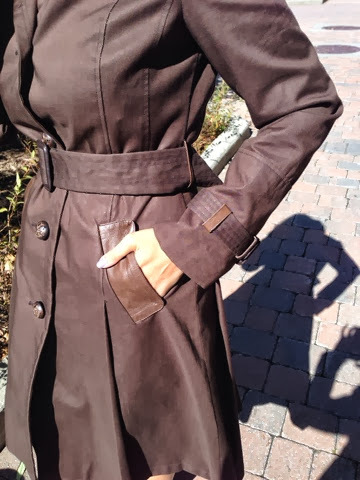 Gorgeous trench! 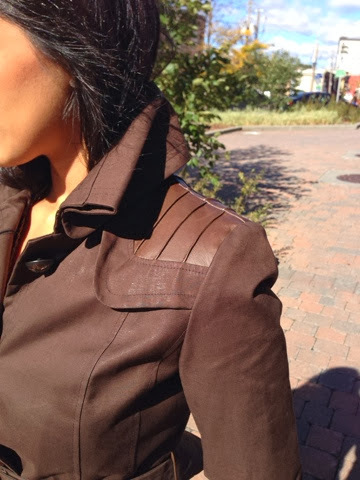 I love the little detailing on the jacket around the shoulders and pockets. 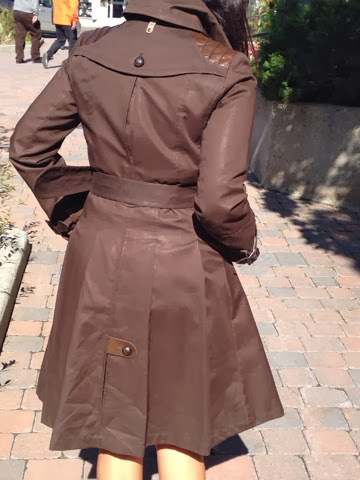 Love this pretty coat! It's so chic. As usual, another really lovely post! I am so liking the outfit from head to toe. You are really such a chic girl! The coat is amazing. your trench is magical!!!! omg. it's so chic, i love the little details!!!! super fab.